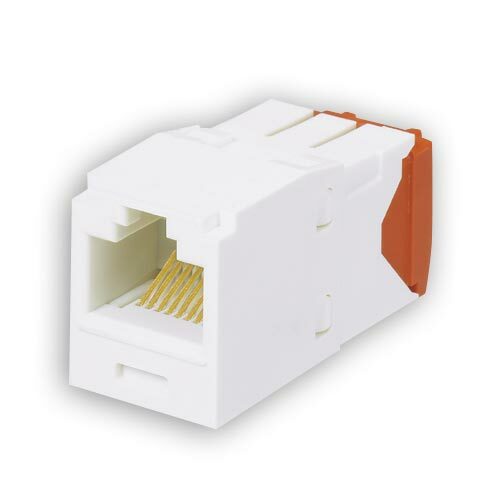 * FoFor standard colors other than Off White, replace suffix IW (Off White) with EI (Electric Ivory), WH (White), AW (Arctic White), IG (International Gray), BL (Black), OR (Orange), RD (Red), BU (Blue), GR (Green), YL (Yellow) or VL (Violet). + For other colors replace suffix IW (Off White) with BL (Black). 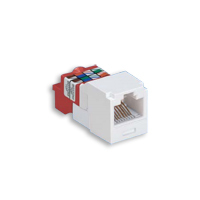 ‡ For standard colors other than Off White, replace suffix IW (Off White) with WH (White), BL (Black), RD (Red), or BU (Blue). 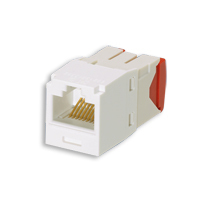 TX6A, Category 6A UTP Field Term RJ45 Plug is a simple-to-attach plug for field termination of 4-pair unshielded twisted pair cable. 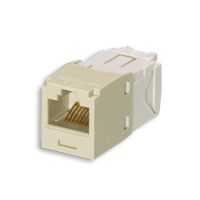 Provides Category 6A,Category 6 and 5e systems. 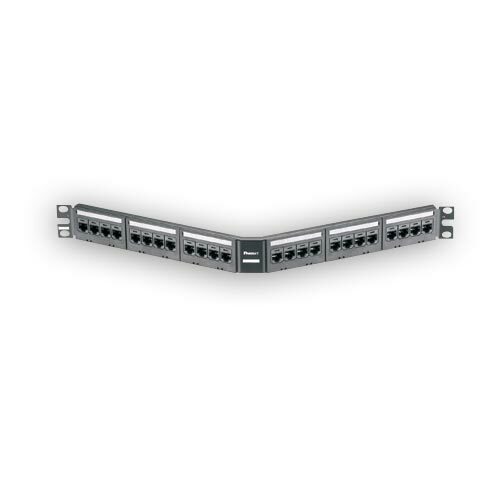 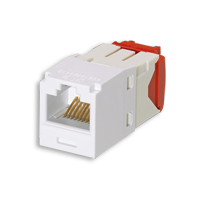 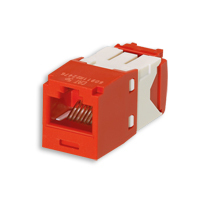 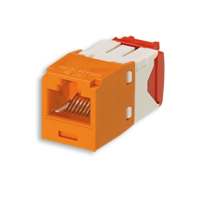 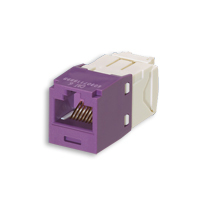 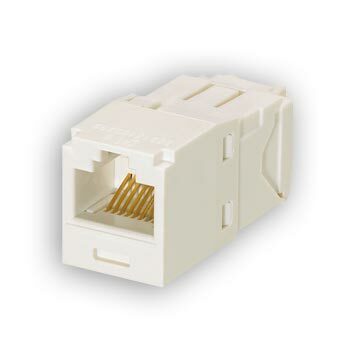 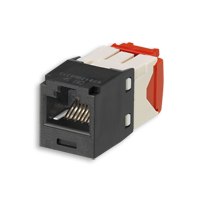 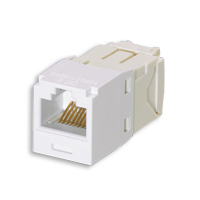 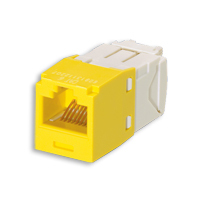 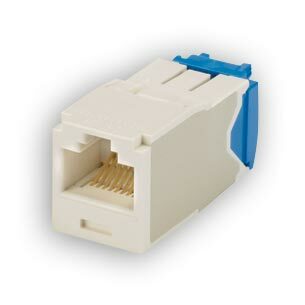 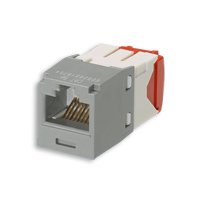 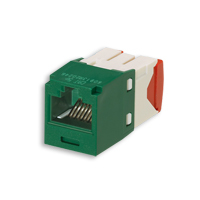 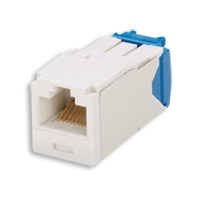 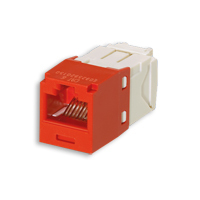 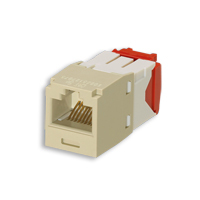 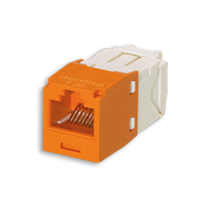 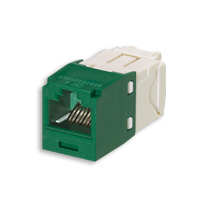 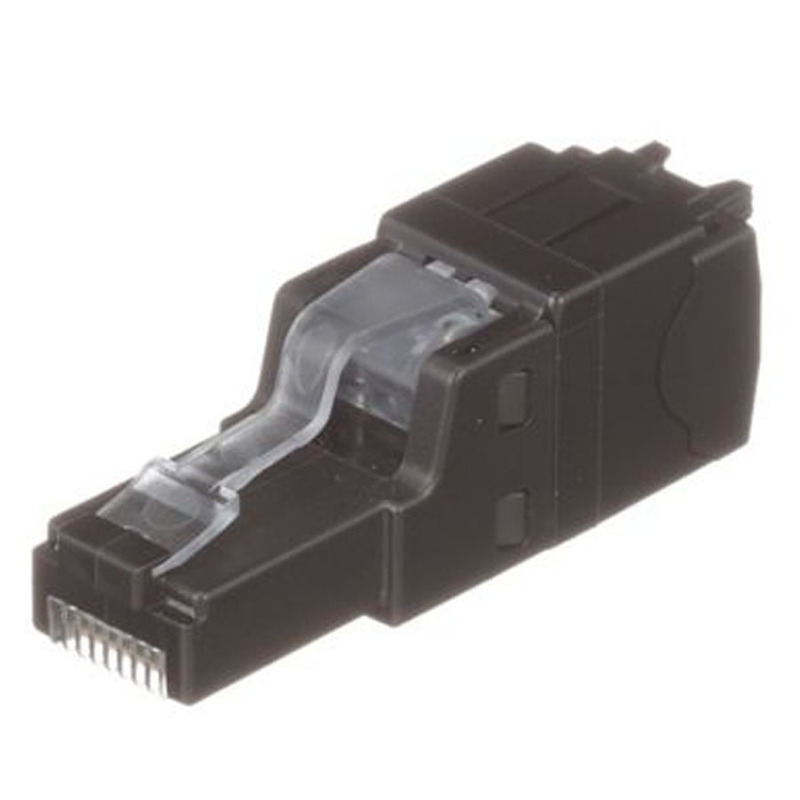 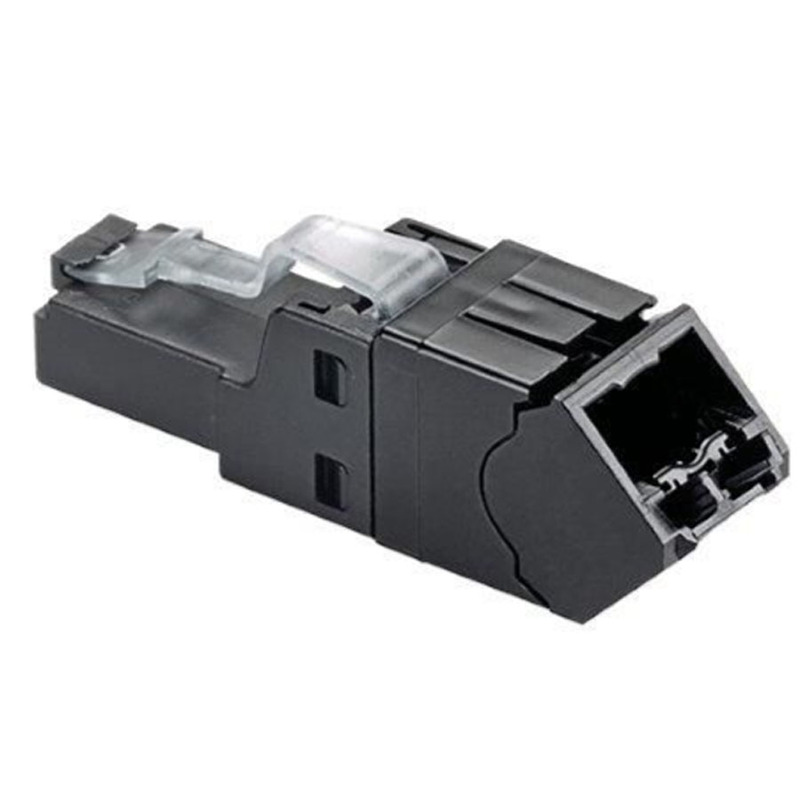 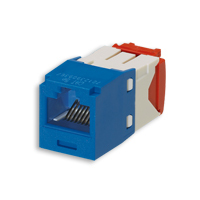 Angled TX6A, Category 6A UTP Field Term RJ45 Plug is a simple-to-attach plug for field termination and easy routing of 4-pair unshielded twisted pair cable. Category 6A performance, also compatible with Category 6 and 5e systems.